Come join us for one of our Bible Study Courses offered to strengthen your spiritual growth in Jesus Christ. For more information about the course click on a picture below. Click on the course title for registration form, fill out the form. Dr. Tony Evans believes that God wants every man to be a world-changer. He skillfully takes readers along a journey through the principles of biblical manhood, exploring how those who live, work, and minister around a kingdom man benefit from his leadership and care. Men will be challenged to fully understand their position under God as well as their position over what God has given them. Equipped with these concepts, they can actively pursue ways to maximize and develop the character qualities of biblical manhood in their lives. 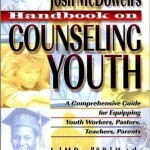 Revised and expanded, this classic study guides readers to experience a relationship with God through which they come to know and do His will by learning to recognize when He is speaking. It also helps them understand the importance of His timing. 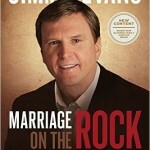 Many truly amazing testimonies are included in this revised version. 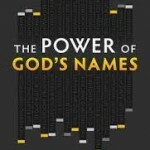 In The Power of God's Names, bestselling author Dr. Tony Evans shows that it's through the names of God that the nature of God is revealed to us. Who is God in His fullness? How has He expressed His riches and righteousness? How can you trust His goodness? As you get to know the names of God and understand their meaning, God's character will become real to you in life-changing ways. You will be better equipped to face hardship and victory, loss and provision, and all of the challenges life throws at you. The question "What are you afraid of?" can be translated "What is it that immobilizes you? What is stealing your joy and destroying your hope? What is robbing you of sleep night after night? What keeps you from living by faith and being a risk taker? What keeps you from giving your life wholly to a loving God who wants nothing but the best for you?" Dr. Jeremiah has probably heard your answers to these questions, at least in part, because he's lived shoulder to shoulder with many mature Christians his entire life. He's been a pastor to thousands for nearly five decades. And he's discovered that everybody—including himself—is afraid of something. The challenge is to discover and analyze your fears, to look to God when you are afraid, and to find a biblical response to your fears. What Are You Afraid Of? examines these fears: defeat, depression, disconnection, disease, and death. Dr. Jeremiah then guides you to realize that God is the answer to all your fears and to replace your unhealthy fears with a proper fear of God. You can look to the future and see nothing except His power and love guarding your every step. You can find the truth that sets you free to live the fearless life God created you to enjoy. 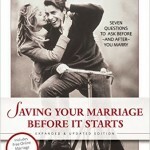 Are you tired of marriage books that sound like they were written thirty years ago? Do you want real, honest advice from a couple who knows the hopes and struggles of today's couples? Do you want to build a marriage that will last a lifetime? "Saving Your Marriage Before It Starts" is the first comprehensive marriage preparation program specifically designed for today's couples. And it's the first program for couples developed by a couple. A Kingdom Woman begins by embracing a simple premise: Unless a Kingdom rests firmly under the authority of the ruler, anarchy reigns. That’s why a Kingdom Woman always seeks to align herself and operate under the authority of God—in every area of life. With practical insights and applications from Chrystal Evans Hurst, Tony Evans explains how that process can unleash new purpose, power, and possibilities—in both the lives of Kingdom Women and those they love. Women will be encouraged to embrace their role as leaders under God’s authority and challenged to live as true heirs under the covenant God has made with His children—affirmed in their identity as valued daughters of Christ. 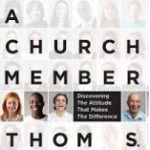 In Called and Accountable, authors Henry and Norman Blackaby help you explore the life-transforming, world-changing call that God gives you as a follower of Christ. Just as He did throughout the Bible, God is still calling His people, at this very hour, to accomplish His eternal purposes in redeeming the lost. God has a unique plan for you to be a part of His mission. 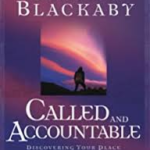 Called and Accountable thoughtfully explores questions such as: Why does God call us? What is a call? Who are the called? How am I called? When am I called? How do I live out the call? 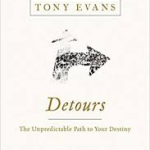 Are life's detours slowing you down? Perhaps you're being redirected so God can keep you away from hazards, clear away debris, or make improvements! Walk with Evans through the life of Joseph and discover why and how God uses these unpredictable byways to bring about his blessing and reveal his plan for you. Too many of us live segmented lives, with God residing in one of our many compartments, all of which focus on our own fulfillment. We often struggle because we want God to fulfill our agenda, and many do not want to live life under God. The Kingdom Agenda: Life Under God helps us re-prioritize our lives according to kingdom values, and apply biblical principles to our everyday life.